While visiting Tampa, we had the pleasure of checking out The Florida Aquarium. One of the best add-ons while visiting this amazing aquarium is the Wild Dolphin Ecotour. 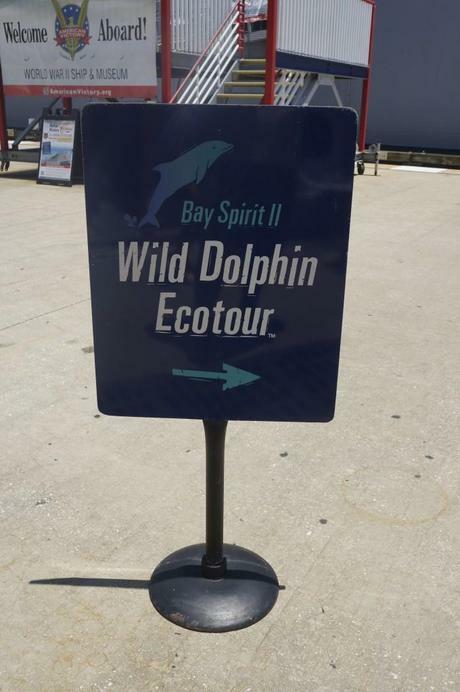 The Wild Dolphin Ecotour can be purchased at the Florida Aquarium and leaves from the a dock right outside the building. 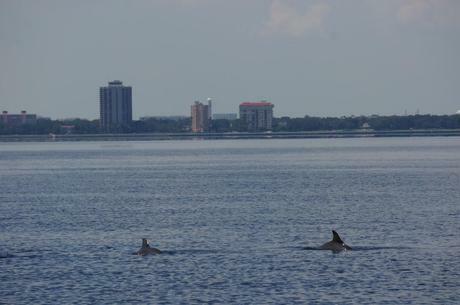 The Bay is home to more than 500 bottlenose dolphins. 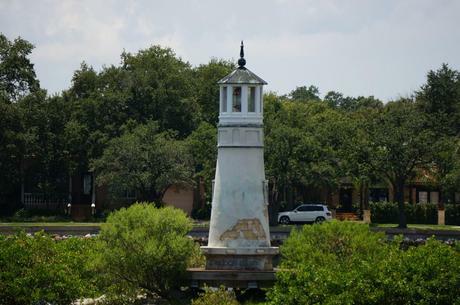 Dolphin sightings are not guaranteed however with the Tampa Bay waters being a perfect habitat for these amazing creatures, there is a 92% success rate of seeing dolphins. 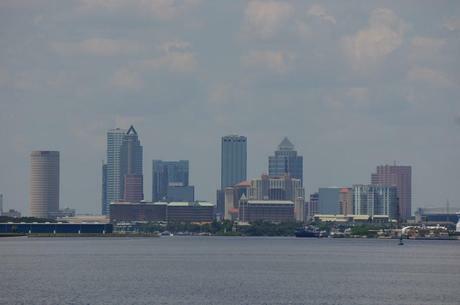 then head out onto Tampa Bay. Starting my adventure on the water, I had my camera ready for a flipper sighting. 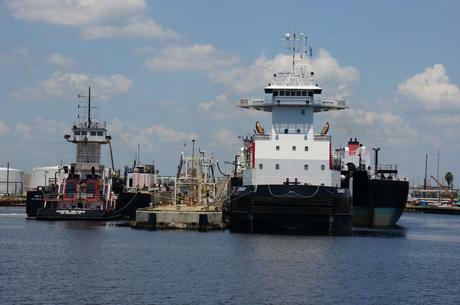 On the way out onto The Bay, you pass through Tampa’s harbor. 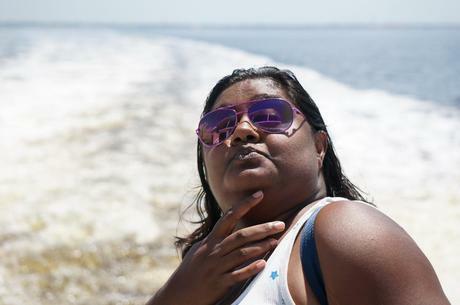 The harbor cruise alone is pretty fun and has plenty to look at before you go dolphin sighting. 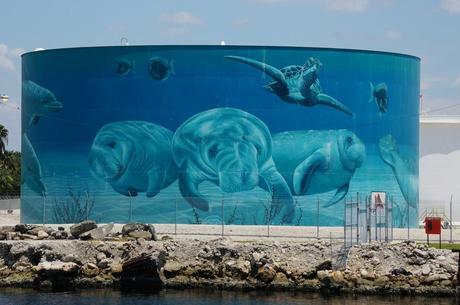 The Bay houses these fabulously painted oil tanks.Each tank is painted by an artist in an effort to beautify the harbor. 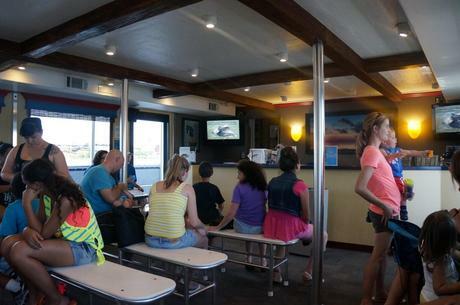 The catamaran has inside seating so you can get out of the sun (or rain) and enjoy an educational video about Tampa’s local flora and fauna. 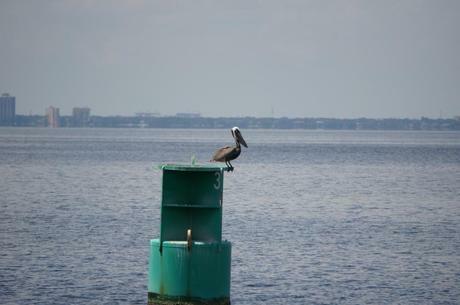 You can also sit or stand on deck for better viewing of the bay and the wildlife. There are snacks and beverages available for purchase inside so you can just kick back and enjoy the ride and take in the film. 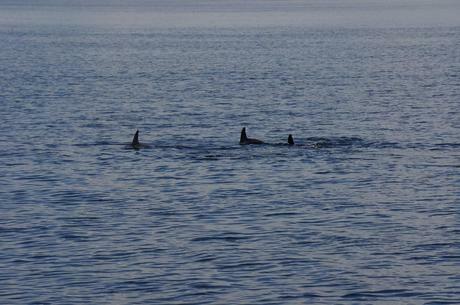 Finally once we were out on the open water, we saw a pod of dolphins. They were playing and kept breaking the surface with each other. I was waiting for one of them to do a cool flip like you see in the movies, alas …heartbreak! 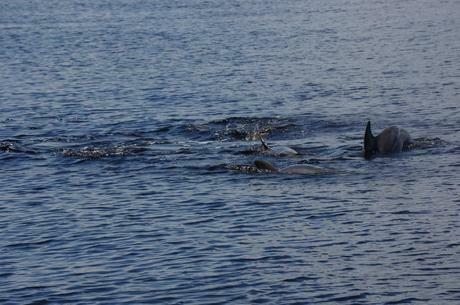 No flips fully out of the water, but we did get to see these dolphins several times in different spots. They seemed to like playing in front of the catamaran. The warm waters of Tampa Bay are home to many different creatures. 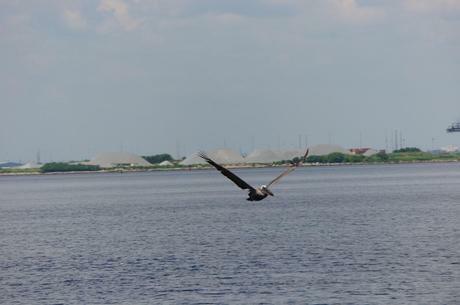 The Wild Dolphin Ecotour is a great opportunity to see many of the fish an birds that call the Tampa Bay area home. Sometimes there are manatee sightings as well depending on the water temperatures. Hey! I’m a Pelican too! Why Not Take a Road-trip?